For those of you who know me, you’ll know that I am an utter Agile tragic. I have woven the structure of Agile into the very fabric of the way that I do life, and I believe that the heart of this is the Retrospective. While there are many other frameworks for DOING, very few of them value so highly as Agile, the space and time for planning and reflection. In my personal life, I do this on both a micro and a macro scale. What I mean by that, is that I close each work day with a review, I close each week with a mini-retrospective, and then every quarter, Damo and I go away together to spend time in deep thought, and collaborative reflection. As I headed to the Grampians last month for a quarterly retreat to think, reflect, and create with my husband, it inspired me to share the reasons that this is so important to the success of the teams I work with, and in every facet of my life. 1. Reflection Brings Awareness to ‘Invisible’ Problems. Have you heard the story of the boiled frog? There is a little green tree frog sitting in a pot of water. Now when the little guy jumped in the water was FINE! However very slowly over time the temperature of the water increased degree by degree until that frog was well & truly boiled. This happens often in our lives; something is going on that we haven’t yet brought to our conscious awareness. It’s kind of like having a health issue, for example pain in your foot, but not going to the doctor. Not because you have consciously decided to ‘tough it out’ but rather you have failed to notice you have a problem that needs solving. You don’t even have conscious awareness that it is there, it is quietly present in the background. And like our little green mate discovered, it probably increased in severity gradually. Retrospectives and regular reflection remove the “noise” of the day-to-day, and allow us to identify ‘invisible’ issues. 2. Collective Reflection Taps into Team Wisdom. Perhaps you know that there is a problem, but don’t realise there is a simple solution, a solution at all, or even the POSSIBILITY of a solution. ‘Maybe this is just how it is, you know, a part of getting older’, or ‘My problem is so unique and special that you couldn’t possibly understand it’, or ‘It’s always been done this way’ (Seriously? Limping around on your tip toes in extreme pain is NORMAL?? Not me, it happened to a friend). Bringing issues to light with a team brings together the diverse knowledge of each individual and facilitates quick resolution of simple issues. That means you have more time, space, and energy for truly complex challenges! How often do you wonder what could be going on for someone before responding to their behaviour? I like to play a game called ‘Empathy Snap’ in a retrospective, where each team member picks the name of another team member out of a hat, and has to guess what it was that person was focused on in the last time period (i.e. fortnight/month). What was their big hitting issue during that time? They write it down (as well as their own biggest hitter), then go around the room and share their guesses against the actual areas of focus. In one exercise, a number of full time employees were surprised to find out that the big focus for the contractors in the team had been their upcoming contract renewals. It was a beautiful moment to notice that we can often be oblivious to where people’s focus and attention lies, and to bring empathy to each team member when we work through challenges. Most importantly: Empathy isn’t necessarily guessing correctly, its taking the time to wonder. 4. Regular small adjustments keep us on the desired course. Reflecting regularly picks up small changes before they take hold and produce devastating consequences. You notice if your foot is hurting a bit more. You notice a short cut taken to meet a deadline. You notice an unkind remark said ‘in jest’ (don’t even start me on ‘locker room talk’- ugh). It’s like monitoring the course of a ship at sea and making small adjustments often. We pick up on things quicker and course correct before we need to make a large, potentially wasteful change in course, or worse, run aground. 5. Reflection is essential to teamwork. A team that doesn’t hold retrospectives, isn’t truly a team. There. I said it. They are just a bunch of individuals working on the same project. There is no connection, no self-awareness, and even more dangerous, little diversity in opinion. This leads to sub-par results or complete irrelevance. Imagine if Kodak had built in regular self-reflection in the lead up to the digital photography revolution? 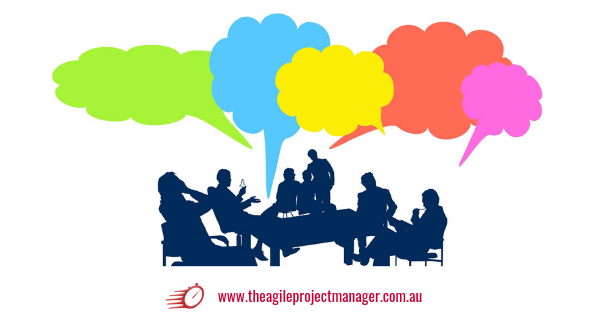 The Agile retrospective is not only built into the system to take care of continuous improvement, and to learn & grow as a team, but even more importantly to create trust through transparency. It is about leaning in and sharing challenges with each other, in an environment that is safe and structured. It is about checking the temperature of the team regularly, by creating an opportunity to identify risks and problems early, therefore eliminating the possibility of boiling any frogs. How do you build reflection into your life? And how has that changed your outcomes? Watch this space for my next blog on HOW to hold a great retrospective!